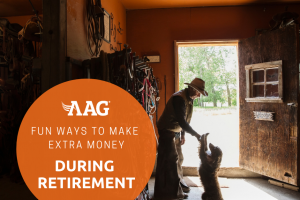 With a reverse mortgage, seniors have a valuable tool available to them that can be utilized as part of their strategy in financial planning for retirement. There are many features of reverse mortgage loans that can benefit seniors who are looking to supplement their retirement income. So what exactly are they? Below are four reverse mortgage loan advantages. #1 You remain the owner of your home. A common misconception of reverse mortgages is that the lender takes ownership of your home. This is false. You continue to maintain ownership of your home, as long as you comply with the terms of the loan and pay your property taxes and homeowner’s insurance. #2 There are no monthly mortgage payments required from you. One of the most attractive benefits of reverse mortgages is that payments are made TO you, as long as you live in your home. This is quite different from a traditional forward mortgage where you must pay funds in a monthly amount. With reverse mortgages, you receive funds. The loan is repaid when you sell your home, move to another primary residence, or when the last borrower leaves the home. Borrowers remain responsible for paying property taxes, homeowner’s insurance, and for home maintenance. #3 You are protected if the housing market declines. #4 You may choose from several options of disbursement. These are only a few of the many reverse mortgage benefits. For more information, visit our more in-depth guide ‘What is A Reverse Mortgage’. If you’d like to see how you may benefit in your particular situation, speak to one of our Reverse Mortgage Professionals who will sit down with you and go over a customized financial strategy in order to take full advantage of all the benefits a reverse mortgage has to offer you.